Electroacoustic music originated in Western art music around the middle of the 20th century, following the incorporation of electric sound production into compositional practice. The initial developments in electroacoustic music composition to fixed media during the 20th century are associated with the activities of the Groupe de Recherches Musicales at the ORTF in Paris, the home of musique concrète, the Nordwestdeutscher Rundfunk (NWDR) studio in Cologne, where the focus was on the composition of elektronische Musik, and the Columbia-Princeton Electronic Music Center in New York City, where tape music, electronic music, and computer music were all explored. Practical electronic music instruments began to appear in the early 1900s, and "electronic sounds" were also produced using animation techniques by such artists as Norman McLaren. 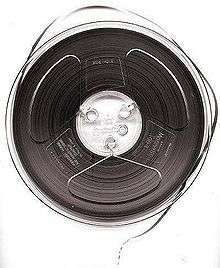 The work of Halim El-Dabh is perhaps the earliest example of tape music. El-Dabh's The Expression of Zaar, first presented in Cairo, Egypt, in 1944, was an early work using musique concrète–like techniques similar to those developed in Paris during the same period. El-Dabh would later become more famous for his work at the Columbia-Princeton Electronic Music Center, where in 1959 he composed the influential piece Leiyla and the Poet (Holmes 2008, 153–54 & 157). All electroacoustic music is made with electronic technology, specifically a device – usually a loudspeaker, that transduces electrical energy to acoustic energy. Circuit bending is the creative short-circuiting of low voltage, battery-powered electronic audio devices such as guitar effects, children's toys and small synthesizers to create new musical instruments and sound generators. Emphasizing spontaneity and randomness, the techniques of circuit bending have been commonly associated with noise music, though many more conventional contemporary musicians and musical groups have been known to experiment with "bent" instruments (Collins 2006, ). Important centers of research and composition can be found around the world, and there are numerous conferences and festivals which present electroacoustic music, notably the International Computer Music Conference, the International Conference on New interfaces for musical expression, and the Ars Electronica Festival (Linz, Austria). Holmes, Thom. 2008. "Early Synthesizers and Experimenters". In his Electronic and Experimental Music: Technology, Music, and Culture, third edition. New York: Routledge. ISBN 978-0-415-95781-6 (cloth); ISBN 978-0-415-95782-3 (pbk), (accessed 4 June 2011). Beecroft, Norma. 2009. "Electronic Music in Toronto and Canada in the Analogue Era." eContact! 11.2 – Figures canadiennes (2) / Canadian Figures (2) (July 2009). Montréal: CEC. Gann, Kyle. 2000a. "It’s Sound, It’s Art, and Some Call It Music." New York Times (January 9). Kahn, Douglas. 2001. Noise, Water, Meat: A History of Sound in the Arts. Cambridge, Mass. : MIT Press. ISBN 0-262-61172-4. Roads, Curtis. 1996. The Computer Music Tutorial. Cambridge, Mass. : MIT Press. ISBN 0-262-18158-4 (cloth) ISBN 0-262-68082-3 (pbk).